Plymouth, MI. 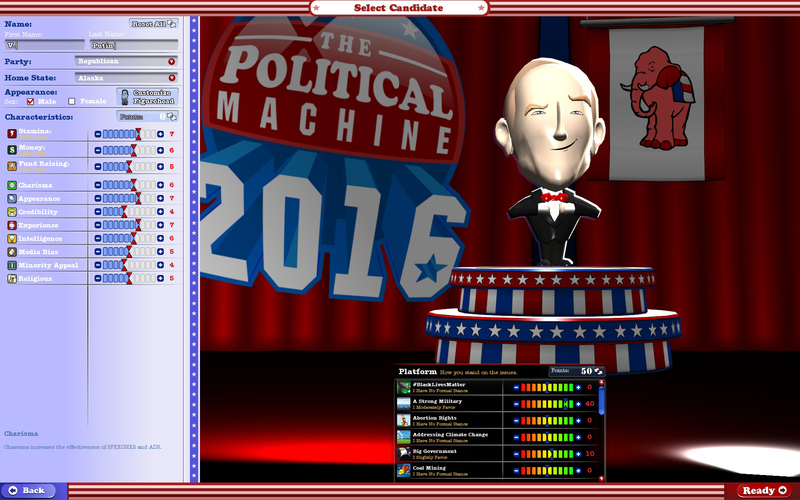 – January 26, 2016 - Take to the campaign trail on February 4, 2016 and win the hearts and minds of America’s voters to win the presidency in Stardock’s popular political strategy game, The Political Machine 2016. 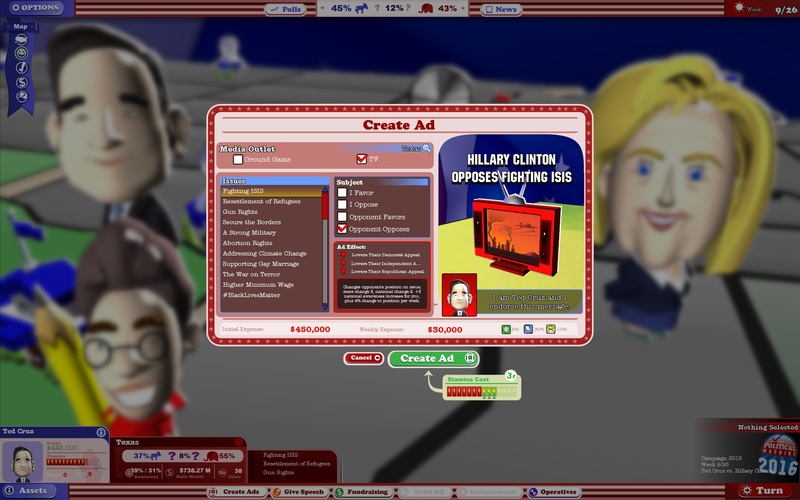 The game offers the player a choice to compete for the presidency as one of more than a dozen candidates such as Donald Trump, Bernie Sanders, Hillary Clinton, and more. 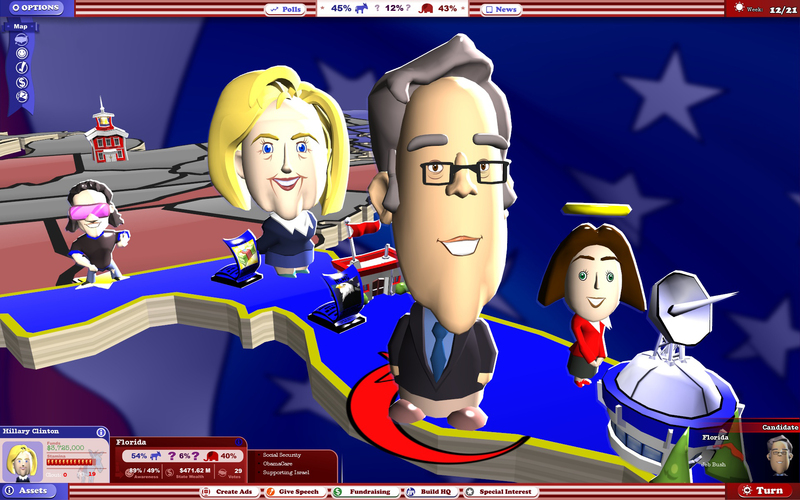 The player can also choose to create their own custom candidate, complete with their own unique avatar, political party, and hometown. "The Development Team has been working on some new features for this release," said producer Patrick Shaw. "The game deals with topics that are current and relevant to this year’s election and we’ve added a poll tracking feature so that you can see how your own political races are matching up to what’s going on in the United States right now." Dozens of national issues including the Keystone XL Pipeline, human trafficking, and the Iran Nuclear Deal have been added for the 2016 campaign season. New issues will continue to be added even after the game releases.